Attaches to smooth surfaces with strong suction cup--perfect for highchairs and stroller trays. 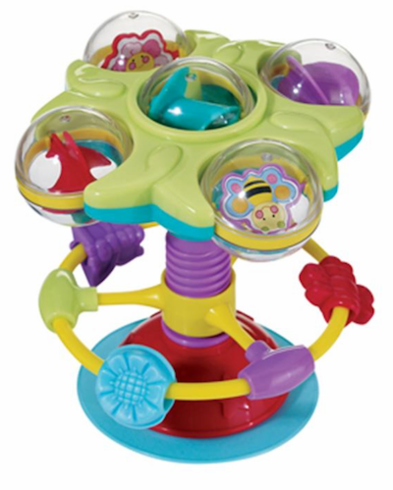 Features 5 spinning balls and 3 spinning bug-beads. Top clicks as you spin it and center wheel climbs up and down the center pole as it turns. Kid-powered -- no batteries required.